My friends and I recently visited Argao to check on the different things that we can do in the town. We were able to know the products that should buy in Argao. If you ask someone from Argao, they will surely recommend their Torta and Tableya. Torta is basically like a sponge cake. The difference in the Torta in Argao is that they use tuba (coconut wine) as riser. This baked good is so popular in Argao that they named the town's festival as the La Torta festival. Here are some of the pictures we took when we went to the place of Jessie Magallones, one of Argao's best Torta makers. Tableya is our local for unsweetened chocolate rounds. 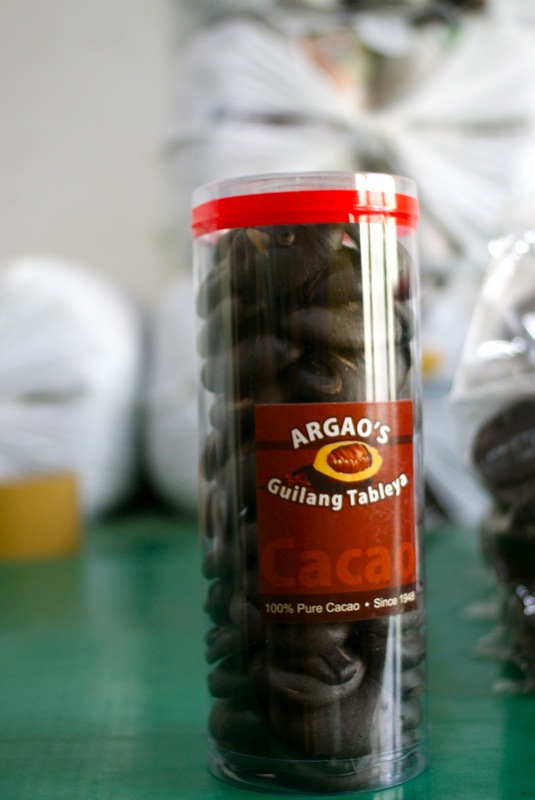 It is made from roasting Cacao seeds and it is basically used to make hot cholocate (sikwate) or champorado. 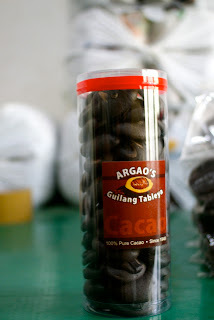 Guilang Tableya is another pride of Argao. Here are our pics when we went to the place where it is made.